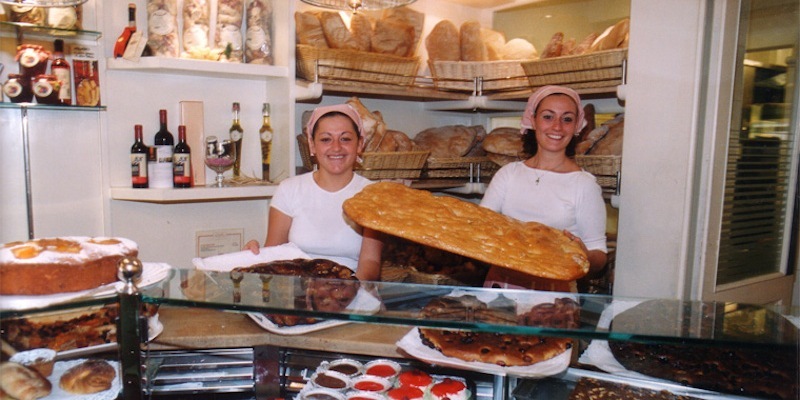 It is possible to find yourself in a conundrum of where to find the best baked goods in Florence as albeit the tiny size, the city is brimming with bakery shops at every corner and in between. Save yourself the hassle with this little guide. I took it as my duty to taste and carb load for this reason precisely: to consult travelers to Florence on where to get the finest, most artisan, true to tradition baked good in the historical center. La Schiacciata – literally meaning “squashed”, this flat bread, what you could consider the Tuscan focaccia, is what carb dreams are made of. It is the only bread with flavor you will find in Tuscany. Why? Most bread otherwise is made without salt or oil for historical reasons. La Schiacciata instead is a oily, salty, warm piece of heaven. 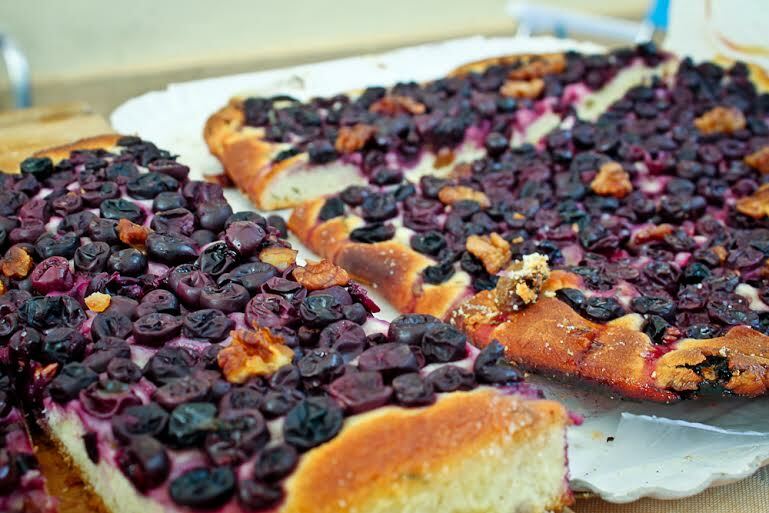 Schiacciata all’uva- “Squashed” bread made sweet with wine grapes. Made mostly during the wine harvest period. Coccoli- Sounding like the word for “cuddles” in Italian (coccole), these little fritters are fried doughballs that heaven sent down for us gluttonous folk. Not only is this bread enjoyed as a fried food thus decadent on its own, traditionally it is stuffed with stracchino (a fresh, cream cheese) and Tuscan ham as a sort of local appetizer or snack. Perfect with young, fruity light Chianti wine. Who am I kidding: good with wine. Period. Cantucci with Vin Santo- a holy match! Cantuccini- Meaning “little corners”, these are tiny biscotti made simply with flour, eggs, sugar and almonds. Very simple to make and deliciously paired (or rather dunked) with local dessert wine “Vin Santo.” Try it! Fedora- A sponge cake with a thick layer of whipped cream and a thin layer of dark chocolate. There is usually orange essence in the extremely moist sponge cake. Torta di Semolino- This is a cake made with a a shortbread crust, a layer of semolino which is a sort of flour paste mixed with milk, sugar, eggs and sometimes dessert wine then topped with thick dark chocolate. Sfogliatine- For sure a buttery bit, this is a puff pastry “pocket” sometimes filled with cream custard and if made right, the sugar and butter have a slight caramelized crisp at the ends of the pastry. An additional note about schiacciata: traditionally this was a sort of “merenda” snack for school children where it was sprinkled with sugar, sometimes dipped in just a wee bit of wine. Nowadays, children are eating prepackaged, processed carb-rich snacks filled with trans-fats which is slightly concerning. I would much rather feed my child natural products like fresh baked bread. Embrace your inner Tuscan child with an old school merenda of sugared schiacciata with or without the wine. Worried about giving alcohol to your child? Talk to almost any Italian and they will say as children, they grew up with watered down wine at the table in very small quantities. Compare that to American table culture where we shun the stuff until the arbitrary age of 21. Now observe the relationships with alcohol across these two cultures. I am not suggesting we booze up children, it’s simply interesting to observe these traditions. For more tips on Bakeries in Florence and other Carb Heavens, visit this post I did on Caffe Neri off of Ponte Vecchio (whose award-winning schiacciata alla fiorentina by Simone Bellesi can be found) and Where to get the Best Panini in Florence including my tried-and-true favorite Semel. In Florence? 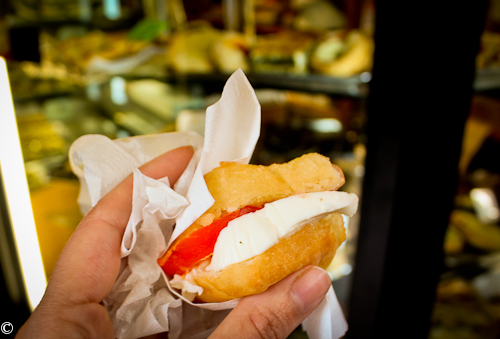 I’d love to help you carb-load at even more places- just drop me a line for more info regarding food tours in Florence. 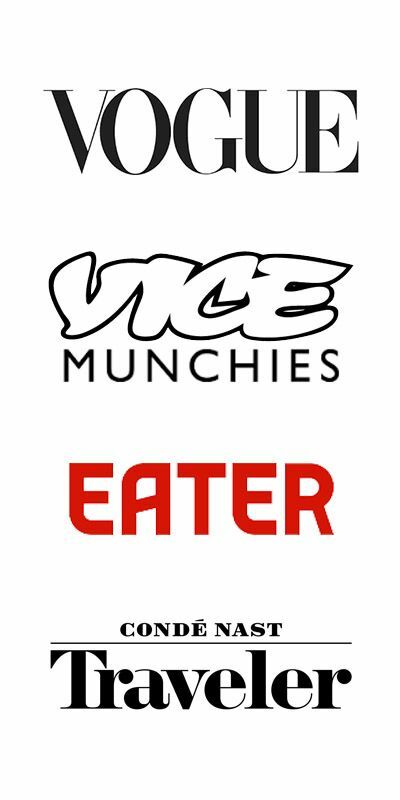 More news! 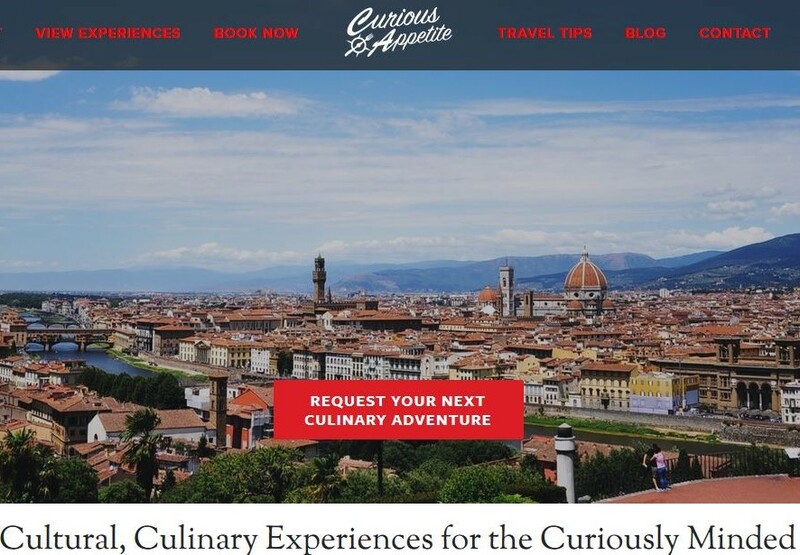 The Curious Appetite has been nominated Best Food Blog by Italy Magazine! Are you a fan? 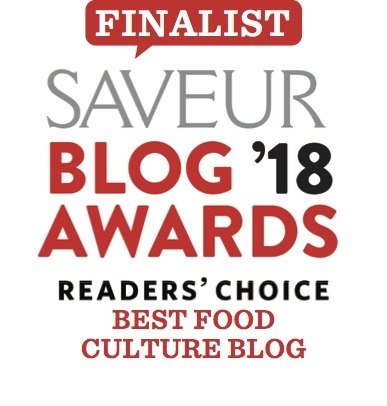 Please vote for The Curious Appetite here: http://www.italymagazine.com/blog-awards/2014?field_blog_category_tid=44499 Grazie Mille! This article reminds me of a place that I’d have to look up in my journal from when I lived there. We were coming back late night from the Firenze night life and had heard of a bakery that opens up around 3-4am where you can pop in and get fresh goods. Delicious! Thank you for highlighting where to find good sweets in Italy! I will make note of them all. DROOOOOL!! 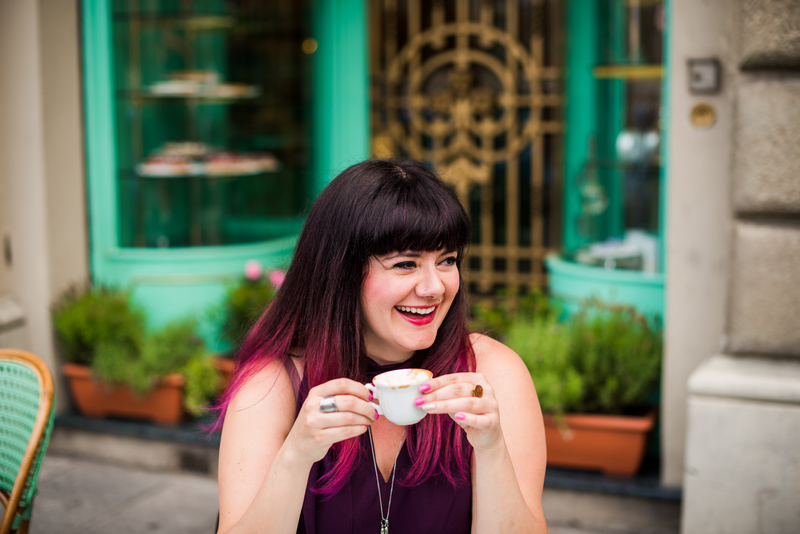 I am planning a blog tour of Italy, starting with Florence in March. Been meaning to email you on it. Will do so immediately after reading this! I need a bakers tour. 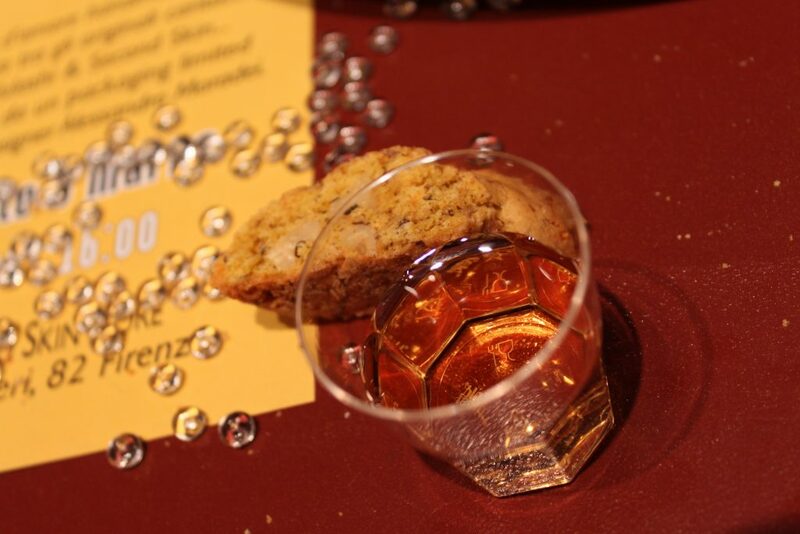 Vin Santo + Biscotti, yes please! Probably my favorite find when I visited Siena in 2010! Great post! Now when I got to Tuscany, I know where to go for fantastic baked goods. Thanks for sharing! I love the local advice! Not sure when we’ll be in Florence but we have friends going this fall; I’ll send this to them with your contact info!